The UK has published a policy paper setting out the direction for HMRC's updated strategy for offshore tax compliance, offshore tax compliance strategy: No Safe Havens 2019. In the document, published alongside the chancellor's Spring Statement, HMRC said it will use hefty punishments for those who enable offshore tax avoidance. "We will relentlessly pursue enablers using the new penalty regime for anyone who designs, sells, or otherwise enables the use of a tax avoidance arrangement which HMRC later defeats. Similarly, we will impose new civil penalties on those who deliberately enable another person's offshore evasion or non-compliance." Last year HMRC collected data on 5.67 million UK residents' offshore financial interests and it is now beginning to detect possible non-compliance. The taxman is "currently actively pursuing a number of enablers suspected of facilitating cross-border tax fraud and money laundering through the J5 alliance (partnership with Canada, the Netherlands, the United States and Australia)." The Spring Statement is different to the UK budget as it is more of an update on how the UK economy has been performing since the actual budget that was presented in October 2018. It is also used to announced any revised forecasts for economic growth from the Office for Budget Responsibility (OBR), the independent economic forecasting body that marks the government's homework. Chancellor Philip Hammond announced in his Spring Statement that forecasts for UK economic growth have been cut significantly to 1.2%, from 1.6% in the last budget. The chancellor has pledged to spend a £26.6bn Brexit war chest to boost the economy, if MPs vote to leave the European Union with a deal. 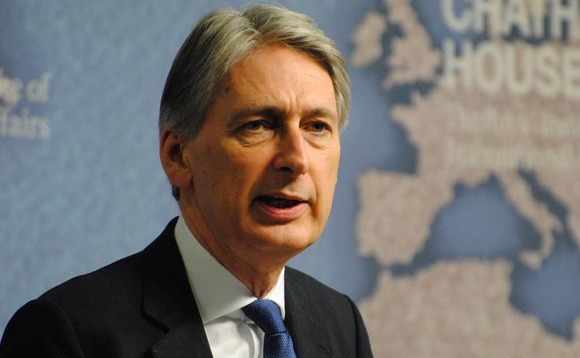 Philip Hammond vowed to free up more money to help end austerity in a "deal dividend". However, he said tax cuts and spending rises depended on a smooth Brexit. Meanwhile, the OBR predicted borrowing is set to fall to £13.5bn in 2023, from £29.4bn this year, well below the previous forecast of £19.8bn in 2023. As a percentage of GDP, debt peaked at 83.3% in 2018/19 and is expected to fall to 82.2% in 2019/20, then 79%, 74.9%, 74%, and finally 73% in 2022-23. However, the OBR report noted that the government's "stated ‘fiscal objective' is to balance the budget by 2025-26" but its past forecast performance suggests "it now has a 40%" chance of doing so by the end of our forecast in 2023-24. Inflation is currently at 3%, but the OBR said it expects the figure to fall back to the Bank of England's target of 2% over the next 12 months.